Keep track of your phone with this great custom phone stand. 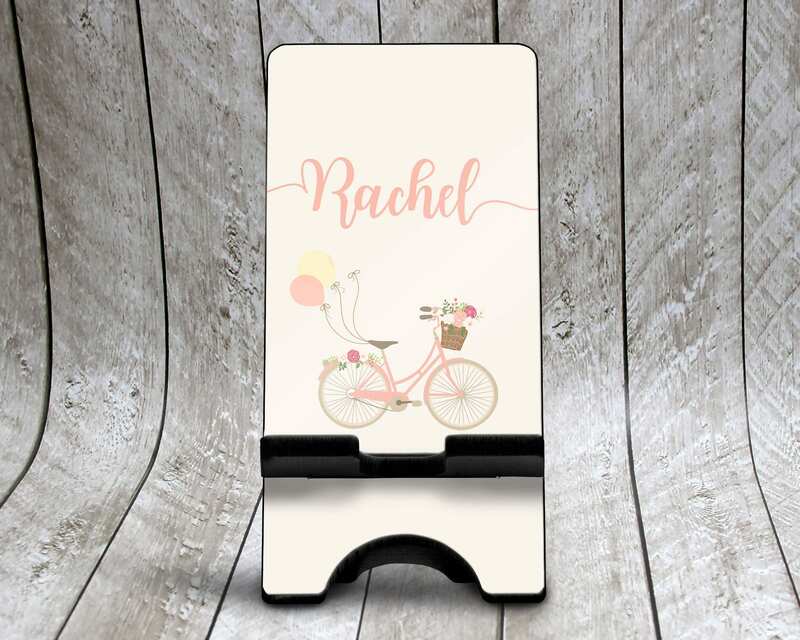 This stand features the name of your choice in the font style shown along with the bicycle and balloon design on a cream background. This stand comes in two pieces which assemble easily to create your custom phone stand.